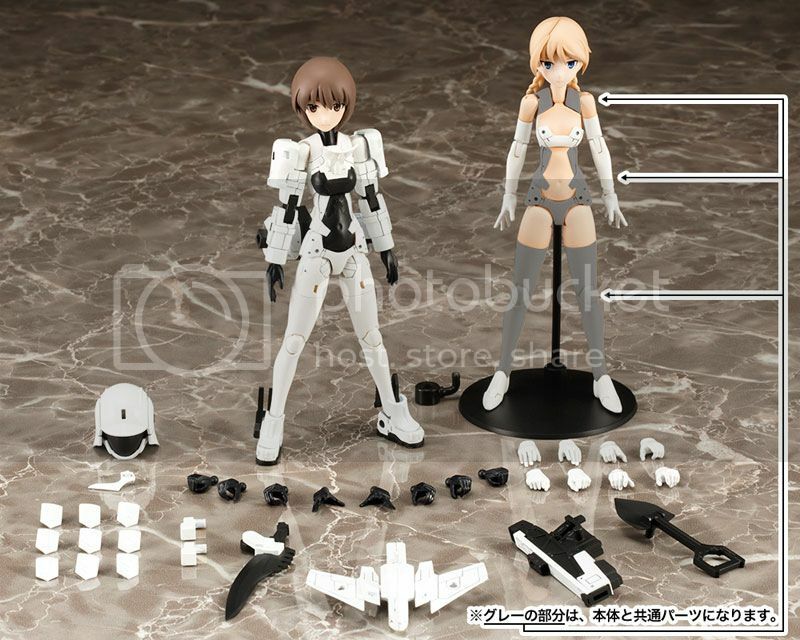 Designed by Masaki Apsy and Toriwo Toriyama, these girls are pretty much Light Armor Shinki. It's a plastic model series featuring 14cm tall figure robots that can stand on their own. They can be enjoyed like plastic models, remodeling them and having them fight like a "near future battle hobby". The main body "machineca" is designed by posable figure leader Masaki Apsy and the character & mechanics are by many different designers. The mold has different colors and the faces are pre-painted with tampo printing, making it possible to obtain a finished product close to the product image by just assembling the kit. 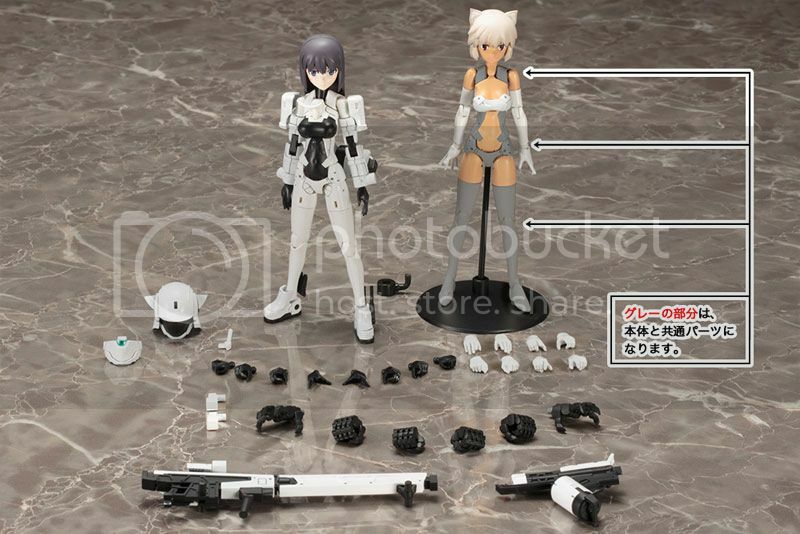 Thanks to the 3mm diameter holes, items are compatible with future products of the same series and also with the many other Kotobukiya plastic model parts that have been released so far. Yeah, they've hit Japanese store shelves and folks are building them already. I'm waiting my preorders right this moment. Will provide pics when I get mine and assemble them. Disclaimer I don't know what the robots are saying throughout the video so could be potentially nsfw?? My assault/scout pair arrived and have been built! They're cute little bots, but perhaps my biggest gripe is that they weren't designed with quick or easy swap-ability in mind. The body feels more like it was designed to be assembled in a single configuration and left that way instead of swapped between configurations as easily as Shinki are. Klinkin wrote: My assault/scout pair arrived and have been built! They're cute little bots, but perhaps my biggest gripe is that they weren't designed with quick or easy swap-ability in mind. The body feels more like it was designed to be assembled in a single configuration and left that way instead of swapped between configurations as easily as Shinki are. So chances are pretty high if you swap out the skin for armor parts often on the body you might break something or wear it out? is there a possibility that the armor parts and weapons can be used on shinkis? Saw a review where they added shinki armor to leg pegs of the megami device as well as their heads to the megami body with no mods to neck joint or leg pegs. I would assume majority of these megami girls to be pretty compatible.